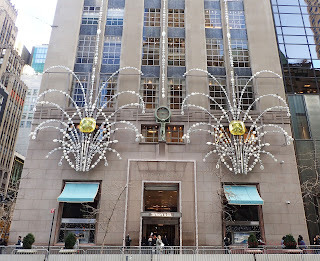 The history of Tiffany dates back to 1837 when Charles Lewis Tiffany and John B. 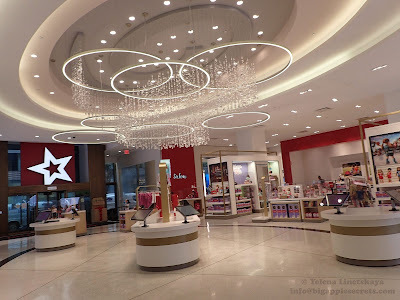 Young opened a “stationery and fancy goods” store with a $1,000 advance from Tiffany's father. Forty years later in 1887 Charles Tiffany shocked the world by buying one third of the French Crown Jewels, earning himself the nickname “The King of Diamonds". 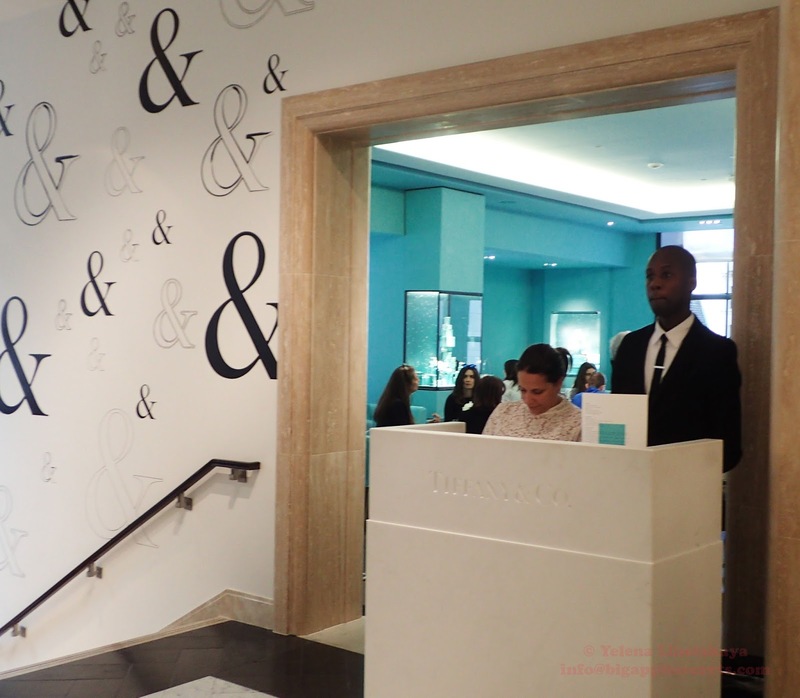 Today, Tiffany has more than 300 stores and employs 12,200 people across the world. The little blue box became the ubiquitous symbol for luxury, love and diamonds. This color, now known as Tiffany Blue, was used on the cover of Tiffany's Blue Book, first published in 1845. Breakfast at Tiffany's is a novella by Truman Capote published in 1958 and sold to Harper's Bazaar for $2,000. In 2013 Truman Capote’s typed manuscript with the author’s handwritten edits has sold in 2013 for about $306,000 at auction to a Russian billionaire Igor Sosin. Capote’s handwritten notations include changing the femme fatale’s name from Connie Gustafson to the now-iconic Holly Golightly. The novella appeared in the November, 1958 issue. 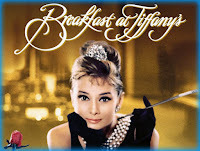 The novel inspired the classic 1961 film starring Audrey Hepburn . 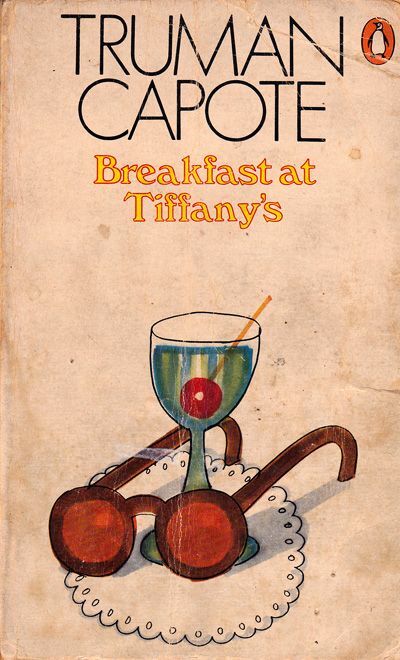 The title Breakfast at Tiffany's is drawn from an anecdote popular among Capote's social circle about an ignorant out-of-towner who, upon being asked which glamorous New York restaurant he would like to visit, answered, "Well, let's have breakfast at Tiffany's". 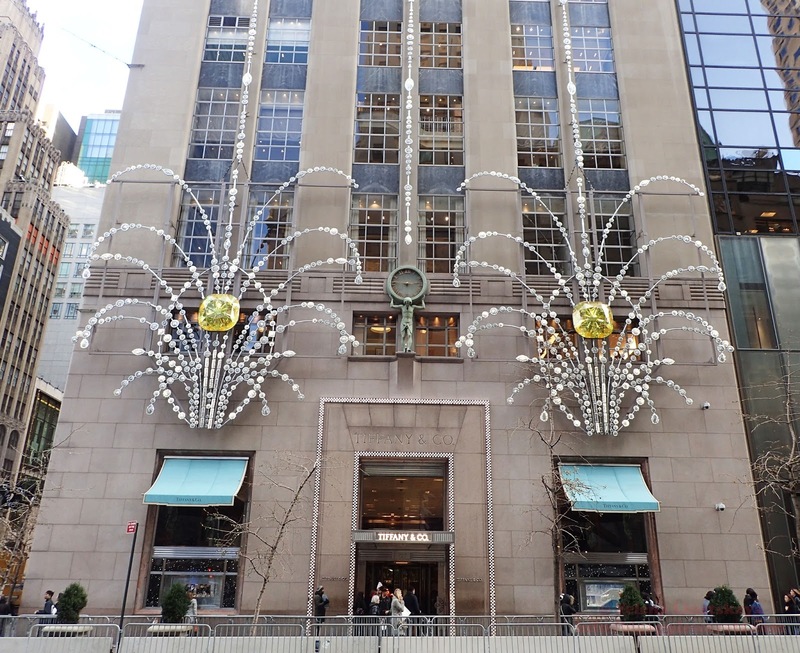 The world-renowned Tiffany & Co. store at the corner of Fifth Avenue and 57th Street opened its doors for business on October 21, 1940. 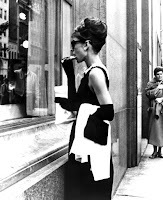 In the opening scene in Breakfast at Tiffany’s movie, a New York City yellow cab drives down a quiet Fifth Avenue and drops Holly Golightly (Audrey Hepburn) off near the corner of 57th Street. 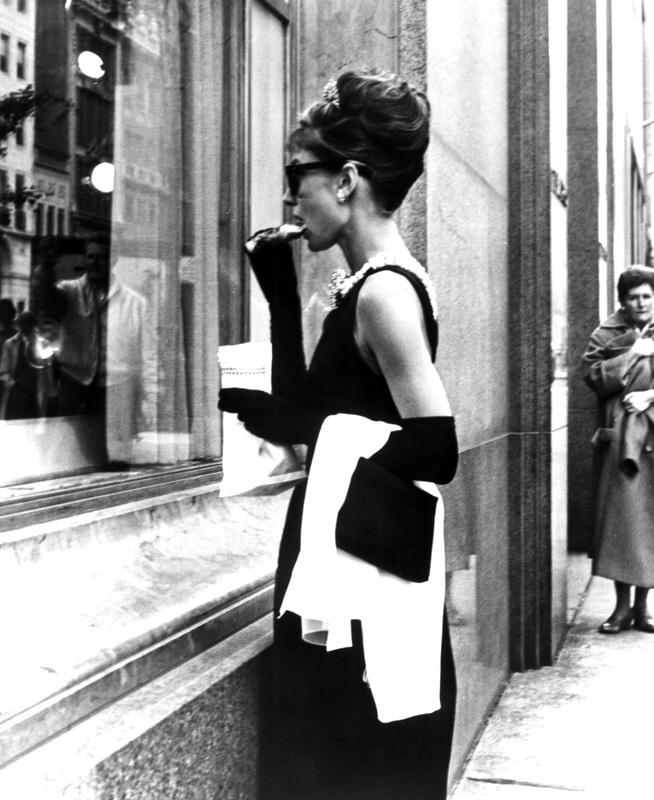 The formally dressed Golightly stares through her iconic sunglasses into the Tiffany & Co. window as she consumes her morning pastry and coffee. 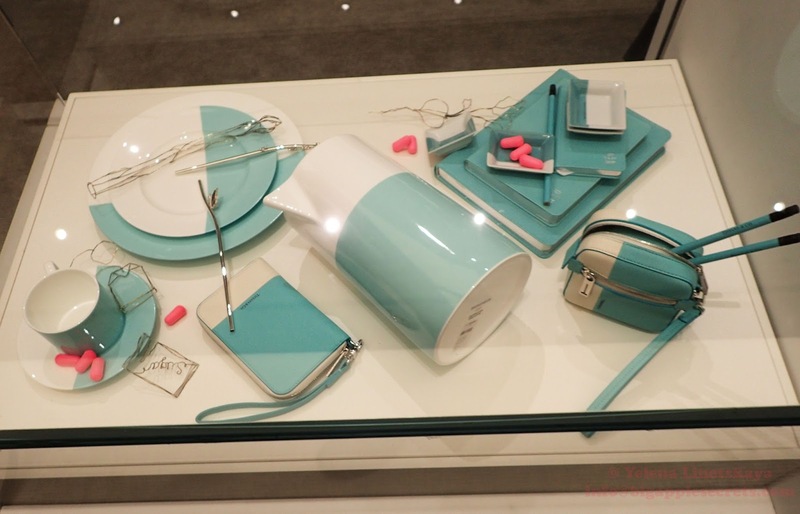 Now you really can have breakfast at Tiffany's. 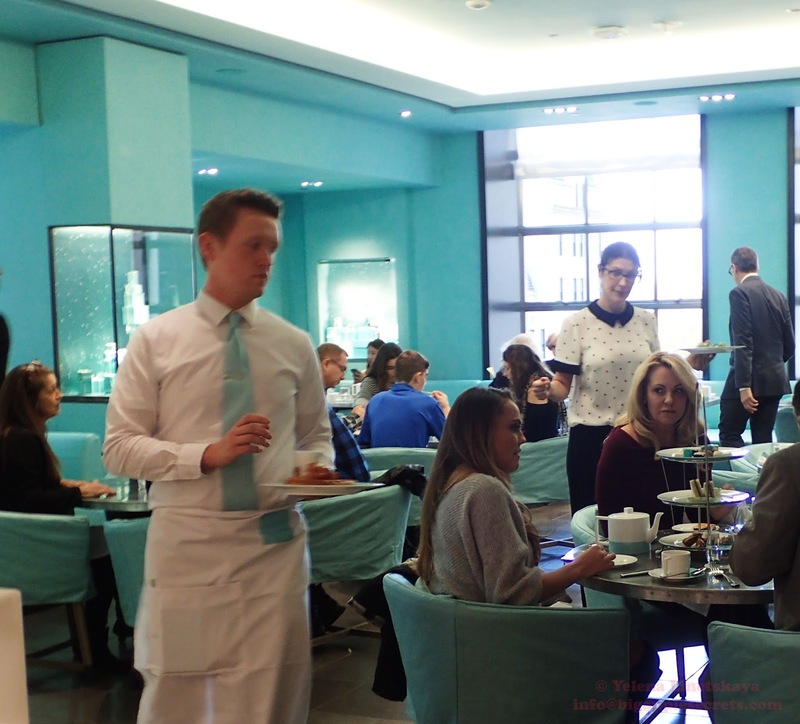 Tiffany is proud to present The Blue Box Cafe, located on the 4th floor of our New York flagship store. 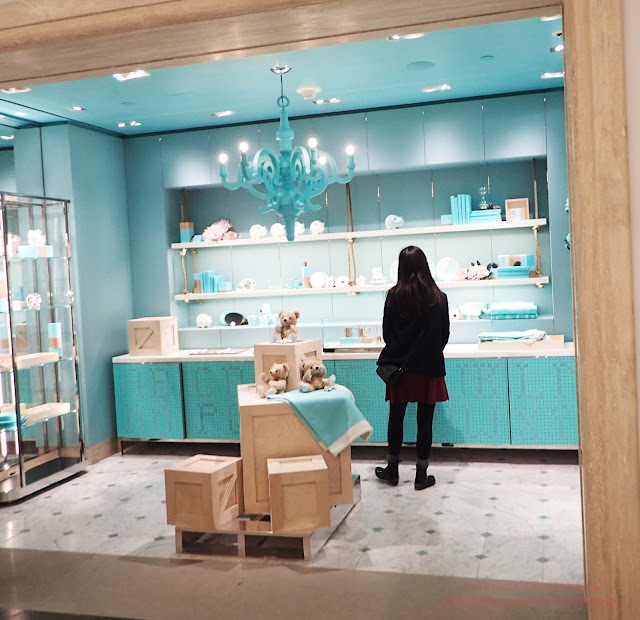 The redesigned fourth floor also houses Tiffany's new Home & Accessories collection, as well as a baby boutique. Prices are really high. For breakfast, you can enjoy coffee and croissant for $29. GrubStreet wrote: It only took 56 years, but Tiffany & Co. finally realized it could exploit a certain movie scene involving its Fifth Avenue flagship store and food. If you’re claustrophobic, this might be your get-out-of-jail-free card. Tiffany did almost the whole café — walls, plates, banquettes, even salt shakers — in the trademarked robin’s-egg blue. Vogue the point was to give it “the feeling of being inside a Blue Box.” Tiffany seems to have forgotten the one thing Holly Golightly made clear is that nobody could ever put her inside a box.